You and I have heard these phrases many times when people admire another person for something they have accomplished. It could be a dish that was prepared from a complicated recipe or a flower arrangement that was made for a luncheon. Oftentimes we shy away from trying something new or challenging because we just don’t have the courage to believe in ourselves. What if we fail? Courage is an interesting word. Being bold and mustering up strength for a tough task comes to mind when I think of courage. But having the courage to believe in yourself is different. It’s very gentle, and it comes from within. My mom always told me that you never know if you can do something until you try. We went to painting class together, and I loved learning something new. So what if you mess it up? Just throw it away and start again, or do it a little differently next time. Granted, some things take years to master! Playing a musical instrument is one of those. I play the piano, and I started taking piano lessons when I was eight years old. I could hardly wait for the day to come when I would be old enough to begin. Making myself practice was hard at times, but I kept on. I studied piano through high school and loved it. However, when I tried the violin it was a different story. Two months of struggling to pull that bow across the strings without it sounding like a cat screaming was enough—I was done. It was just not my musical gift. I would have wondered the rest of my life if I could have ever played the violin if I had not tried. When I hear a gifted violinist I now have a new appreciation for the beautiful music they create. It’s never too late to start something you have truly dreamed of your entire life. 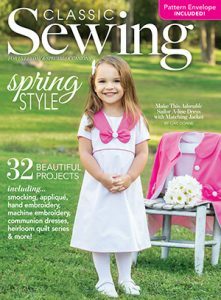 Here at Hoffman Media, we publish Classic Sewing magazine. I have ladies who constantly tell me they wish they could sew. Do it! I believe you will accomplish something you really have a burning desire to do. Take the step. Muster up your courage, and believe in yourself. You can do it, and it is never too late to start anything! Don’t spend your time wondering if you can do something; spend your time trying it instead. What have you always wanted to do that you just couldn’t bring yourself to try? I am surely appreciate that P. Stuck to practicing the piano Her audience is ready for another CD. Beautiful for so many spring and summer events. I am going to share this with my Bible Study Group. We are studying Lies Women Believe. I believe your article will be encouraging for those who suffer with low esteem. Thanks for a great blog. Funny I just bought a keyboard in hopes of learning to play. Next step a piano. I’m really old. What a delightful read. Last year my husband bought me a guitar and encourage me to learn how to play, something I’ve always wanted to do. I am not very good, but I thoroughly enjoy it. I really like your definition of believing in ourselves. Sometimes that little “want to” inside takes root enough to push us forward and we are willing to risk failure. 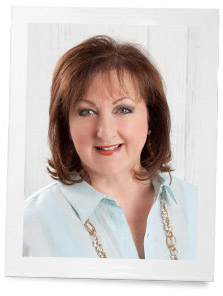 Last March I started a blog that I wanted to do to honor my Mother who went to Heaven in 2015. I don’t think it would be considered a success by the world’s standards but it has satisfied a longing in my heart. A very beloved friend gave me the little push I needed by encouraging me. Dianne, I too started a blog six months ago, partly to showcase my 92 year old mother’s folk art paintings. She had her first exhibit two years ago at the age of 90, which just goes to show it’s never too late to be a great artist! She had painted sporadically for years, but I entered her in a contest for a pop-up exhibit at our class A gallery, and she won. Since then she has had two more shows, and has a third scheduled for next Sept. It’s very motivating to have your work shown, but it reminds me of a quote I read recently, “It’s great to be a great painter, but it’s also great just to paint.” You can substitute write, play music, or any of the creative pursuits in that sentence. As for my blog, I had thought about it for years, but it was scary to start it, so I had a younger more tech-savvy person help me with set-up. It’s great fun, even if I don’t have many followers. I blog on books, art, decorating, genealogy, gardening, and then support my weekly topic with her paintings. My mother has a passion for painting, and now I have a passion for blogging. You’re never too old to start something new. It is good to dare to stretch ourselves. You never know how you’ll benefit, but what’s sure is that not trying will get you exactly nowhere. You make a good point about sewing–it’s hard to do at a couture level, but everybody should know how to at least repair their clothes, and at that level it doesn’t take very long to learn. The violin is a notoriously difficult instrument (as couture is to sewing), but there are other instruments, like the guitar, that can be learned quickly enough to give the player great satisfaction in a shorter time. I wrote yesterday about solo travel; it seems that many women (men never worry about doing things solo) fear traveling alone, and I gave some tips to encourage women to go ahead and see the world. Dare to do it! Phyllis, you have such beautiful handwriting. Consider that a skill that you have mastered, and frquently is no longer taught so well. I would really love to learn another language and write a children’s book. I don’t know if I will take baby steps or dive right into it, but I am definitely inspired to do something. Thank you Phyllis! I’ve always wanted to play an instrument( besides a kazoo). I do sing so I guess I play the vocal chords. Phyllis, I’m glad you learned to play the piano. I have a cd of you playing Christmas songs on the piano (” The Magic of Christmas”?). So beautiful! Also, I’ve always wanted to write and illustrate children’s books but have never tried. Your blog is motivating me to start thinking about trying to make that happen! I guess courage is one of the strengths that helps us to move forward in spite of fear of failure. Thank you again for encouraging us. How wonderful of you to encourage others. All of the comments put a smile on my face. All of your publications provide inspiration for so many wonderful things. In fact, An article in Southern Lady many, many years ago about flowers with Dorothy McDaniels was the inspiration for my business. After reading the article, I wrote to her and one day she called me and encouraged me. I will never forget her kindness. Sometimes all it takes is a small push from someone for you to realize your dream. I have always wanted to master another language, especially Spanish as I have many friends who are native speakers, but I am very self-concious. I would also love to sing in public. I did it once when I was in grade school and enjoyed it. Unfortunately I had two older siblings who teased me about it and so I shied away from any repeat performances since. I know it’s silly but I am introverted and very sensitive to such things. When I turned 64, I decided to go back to college. This was something I had wanted to do for many, many years. I had some ask why in the world did I want to do this and that just made me want to go even more. Being older than most students felt strange for afew days but was surprisingly happy when I felt like any other student. It was a wonderful experience and I’m so glad I did this. I was very proud to get that diploma. This experience caused me to structure my time for studying and attending classes. I would recommend it to anyone at any age. So rewarding. I loved reading this post, as well as the comments! It’s never too late to learn something you’ve always wanted to do, you are so right about that. I always wanted to be a writer, and have actually published articles about my beloved antiques. Next, I’d love to learn how to paint! I have wanted to learn to sew. I plan to start reading numerous books on learning. We have a machine and I am determine to solve the mystery of handling it. Fencing is something I always wanted to do and never tried it. …learned from your beautiful magazines. .now I am our Sunday school class florist. How exciting. Please keep publishing these wonderful books. Much love and many blessings to all of you at Hoffman media. Mary carter. Oh, your story hits home with me. When I was a child I always wanted to learn to play the piano. My parents would not buy a piano for me to take lessons, as mother had to take lessons as a child and she hated to practice and she knew I wouldn’t want to practice unless she demanded I practice. She didn’t want to be her mother a nag about practicing the piano. My best friends mother had a beautiful Baby Grand Piano and she would play for us all the popular show tunes, King and I, Oklahoma, Sound of Music and many more. When I graduated college and had my first job the first thing I bought for my self was a piano. I loved practicing and took lessons for several years. Then I must say I grew lazy and practicing. However, after my marriage and our two boys were away at college and decided this was the time to go back to my piano lessons. After a couple years of lessons my best friends mother passed away and she asked if there was anything of her Mom’s that I would like to have? I said I would like to have her old sheet music. 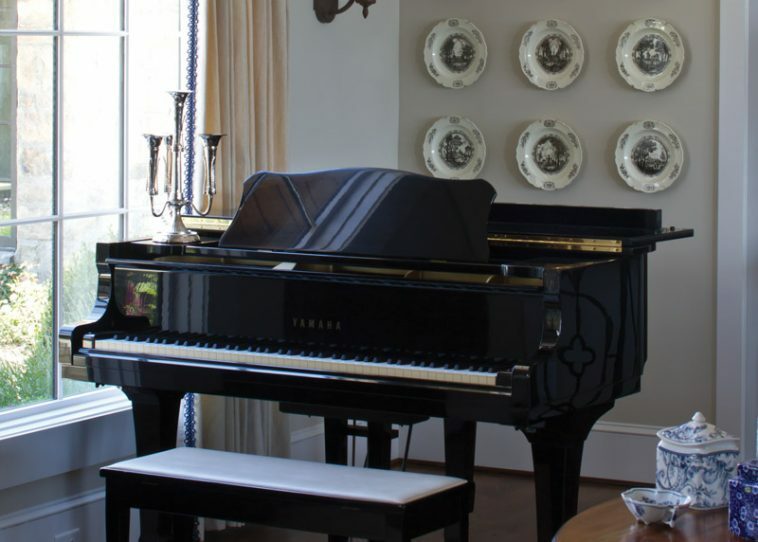 After a few days, she called and asked, if I would like to have her Mom’s Baby Grand Piano. I have enjoyed playing her piano for the past several years. I always wanted to learn a musical instrument. My family never had the money for lessons and the schools I went to had no instruments to learn on. Now i am going to start practicing on the guitar and violin. © 2019 Hoffman Media, LLC.